DESCRIPTION: My clients, NT and her husband-to-be RS, got married at a charming church in New Jersey and their reception was at the breathtaking Liberty House. The map just wasn't complete without a couple little sketches of these memorable architectural features. 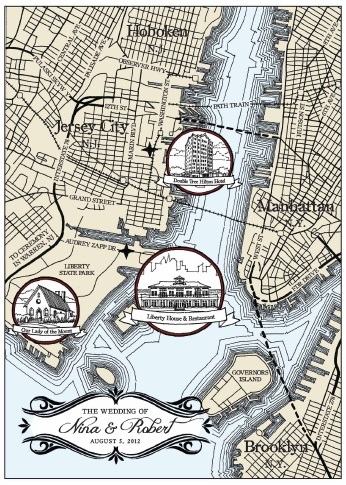 It is designed to be printed on the invitations at 5×7″, but the bride & groom also got an original 10"×15″ print of the map. 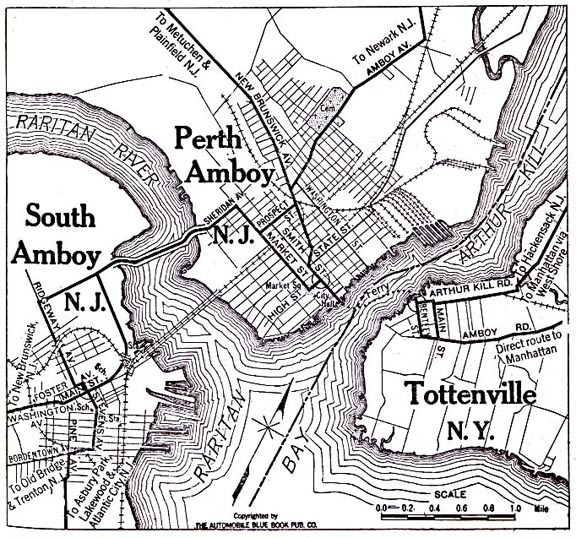 I used the vintage map shown below as inspiration — it was originally published in the Automobile Blue Book in the 1920s. Not the most likely place for wedding inspiration, but the graphic simplicity is really beautiful.